With a stay at Congress Plaza Hotel, you'll be centrally located in Chicago, steps from Columbia College Chicago and Museum of Contemporary Photography. This hotel is 0.2 mi (0.4 km) from Fine Arts Building and 0.3 mi (0.4 km) from Auditorium Building and Theatre. Make yourself at home in one of the 870 air-conditioned guestrooms. Complimentary wired and wireless Internet access keeps you connected, and cable programming provides entertainment. Private bathrooms with shower/tub combinations feature deep soaking bathtubs and complimentary toiletries. Conveniences include phones, as well as safes and desks. Featured amenities include complimentary wired Internet access, a business center, and express check-in. Planning an event in Chicago? This hotel has facilities measuring 50000 square feet (4645 square meters), including conference space. Self parking (subject to charges) is available onsite. Across the street from Grant Park, this downtown Chicago hotel was originally built in 1893 to accommodate visitors to the World's Columbian Exposition. The hotel offers 2 restaurants, a lounge, gift shop, and barber shop. 25 meeting rooms cover nearly 50,000 square feet (about 4,600 square meters) of function space, including a ballroom for groups of up to 2,000. 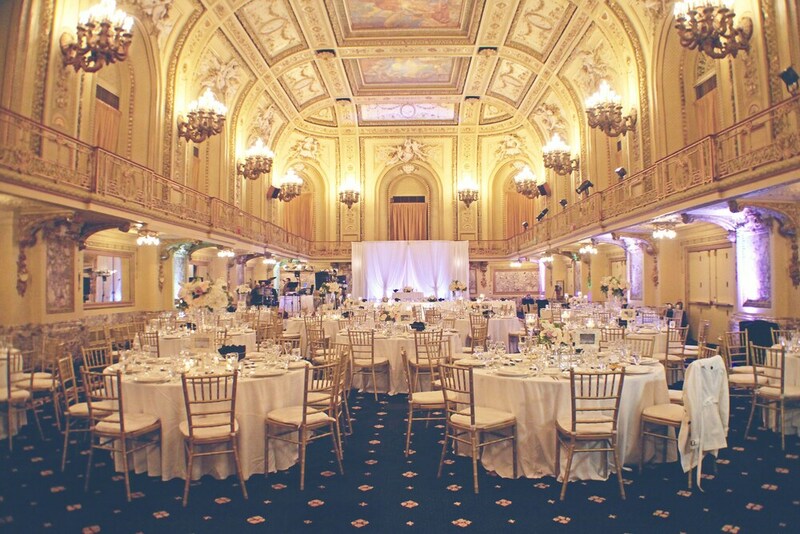 The hotel's Gold Room, currently used for banquets and other formal events, has a vaulted ceiling, chandeliers, and gold-leaf trim. Wired and wireless Internet access is available throughout the property, free of charge. Gazebo Restaurant - Casual ambience, American cuisine. Open for breakfast and lunch. Rafael Steak House - Serving Midwestern cuisine. Open late afternoon through late evening for dinner only. Congress Lounge - Located just off the lobby. Cocktails, beer, wine, and light fare. Open daily. A fitness center on the lower level of the Congress Plaza Hotel is open 24 hours a day. Guests can run, walk, bicycle, or skate on a path that runs along Lake Michigan for 20 miles. It's accessed via Grant Park, across the street from the hotel. Bikes, in-line skates, and pedal-powered buggies can be rented at several beachfront locations. During the summer, Oak Street Beach, about two miles north, is a popular swimming spot when lifeguards are on duty. Canoeing, kayaking, and rowing equipment is available for rent at the Lincoln Park Boathouse, four miles north of the hotel. A public golf course is located six miles north.